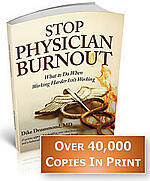 Now with 235 ways doctors and organizations can work together to prevent physician burnout. Need help and support right now? CLICK HERE for a Free Discovery Session with one of our Certified Physician Coaches. The call is no cost, no obligation and completely confidential. Are you a Senior Leader or Wellness Champion looking for Quadruple Aim Tools and Support? CLICK HERE for our Corporate Support Services Page. CLICK HERE to save 40% on orders of three or more. 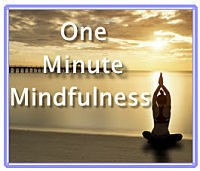 A research-proven, single breath mindfulness technique that will take the struggle out of your days and connect you with what you enjoy about being a doctor again. Learn how to become calm, centered and focused no matter what is going on around you. Take your practice and your life back. Listen here or use the download link to save a copy to your computer. Remember, these can be uploaded to your cell phone as MP3's and played anywhere. Before you listen to these guided imagery sessions, please WATCH THIS VIDEO - especially if there is a little voice in your head saying something like, "I'm no good at this kind of stuff." I am certified in Interactive Guided Imagery and will show you how to get the most out of these audio experiences.